With spring around the corner, many of us are pulling out our cleaners, decorating our homes with flowers from the garden, and considering the next home improvement projects. Yet in the midst of all our grand plans, it’s essential to consider the well-being of our pets, too. Many of the things we use to clean, decorate, and improve our homes are poisonous to pets. Follow our tips to avoid a trip to the emergency room for a toxicity emergency. The good news is that most cleaning products are completely pet safe when used according to their label directions. Bleach, carpet cleaners, Swiffer cleaning products, toilet cleaners, and Febreze are all relatively safe—if any ingestion or contact does occur, these would likely include stomach upset and mild skin irritation. However, do be aware of essential oils either infused in cleaning products or in a diffuser. Cats especially are sensitive to oils and could develop gastrointestinal upset, central nervous system depression, and aspiration pneumonia if they inhale certain oils. To keep them safe, it’s best not to use oils where your pets have access. Paints, solvents, grout, and mineral spirits can all cause significant harm to your pets with contact or ingestion. Many of these can cause severe irritation or chemical burns if touched, and serious gastrointestinal problems can develop if ingested. When completing a home improvement project, make sure to keep your pet out the area until you’ve had time to clean up and everything is dried. Many of the flowers that bloom in spring may be lovely decorations for your home and garden, but many of them are poisonous if ingested. 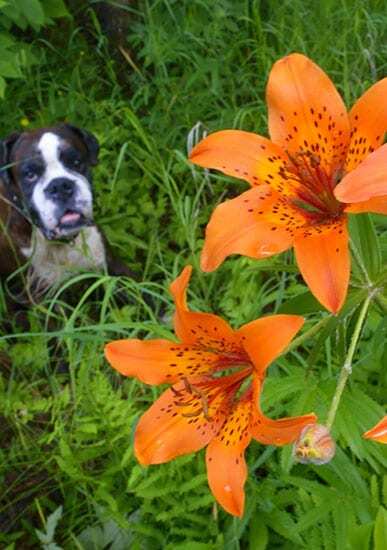 Lilies especially are highly dangerous to cats and could cause renal failure. Other problematic plants include rhododendrons, azaleas, amaryllis, and more. Keep these plants out of your home and garden, or make sure your pet does not have access to them. You can review a list of poisonous plants at ASPCA.com. If your pet does ingest something toxic, bring them straight to us. We’re open 24/7 for emergency care and can treat your pet for any toxic ingestion. Call us at (817) 410-2273.